In Whitewater, by press release (twice), one can read about the supposed benefits of the Trump tax plan. 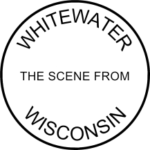 The Whitewater Community Development Authority’s executive director, Dave Carlson, was quick to push a portion of the plan as good for Whitewater. Indeed, if Whitewater were not a lower-income community generally, then an application for lower-income status would have been – at best – erroneous. Carlson cannot – reasonably – both claim the supposed benefits of the Trump plan for Whitewater and simultaneously disclaim its need. Since Carlson expressly touts the work of Trump, Walker, Mnuchin, and Sensenbrenner (and even writes that the CDA chair personally met and thanked Sensenbrenner for the legislation), he has no defense that lower-income status is all a big misunderstanding. What, however, of the Trump tax bill, overall? Have Trump, Mnuchin, and Sensenbrenner brought America something good? Carlson and the Whitewater CDA think Trump, Walker, Mnuchin, and Sensenbrenner have they answer for Whitewater, do they? Previously: On the Whitewater CDA’s Press Release (A Picture Reply Is Worth a Thousand Words and A Candid Admission from the Whitewater CDA.